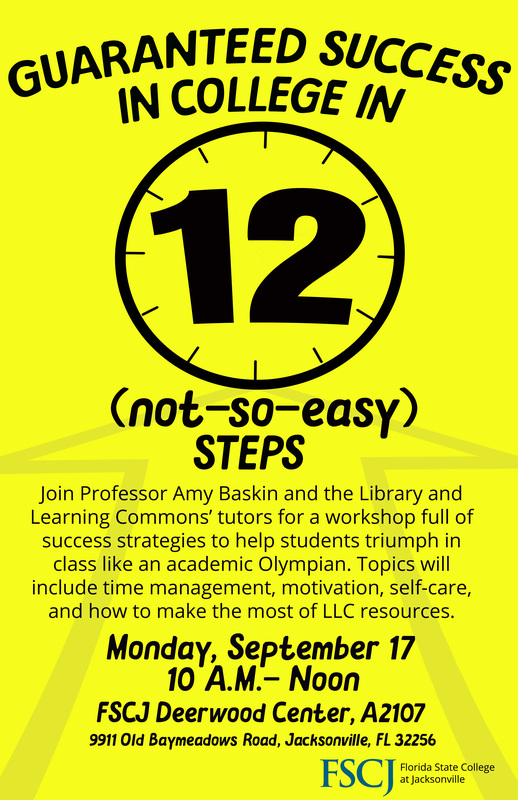 Join Professor Amy Baskin and the Library and Learning Commons’ tutors for a workshop full of success strategies to help students triumph in class like an academic Olympian. Topics will include time management, motivation, self-care, and how to make the most of LLC resources. This event will be held at FSCJ's Deerwood Center, A2107.